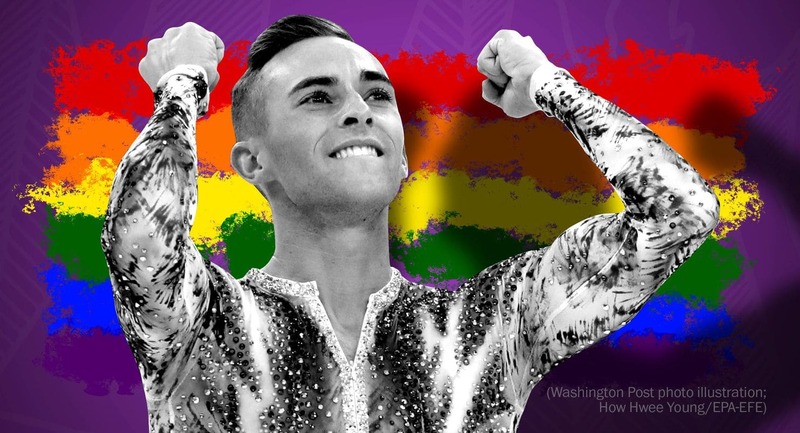 The newest darling of “the love that dare not speak its name” club skated his way into the history books Sunday night when Adam Rippon, 28, the first openly gay U.S. athlete to compete at a Winter Olympics, also became the first to medal in one. If anything, though, Rippon — out and proud, brash and humble — captured the imagination of LGBT young people in a way I’ve not seen before. Was it the shimmering electric blue top that clung to him like a second skin? The complete self-acceptance that takes us beyond the binary of gay or straight? The shade he threw at Vice President Pence? Or is it that he’s a modern-day gay Horatio Alger, who four years ago cried over burgers with fellow skater Mirai Nagasu when they failed to qualify for the Sochi Olympics, but who today is riding high as a Twitter trending topic? Make that a resounding YES to all of the above. In the afterglow of Rippon’s first competition, I spoke about his appeal with a number of young people, including Eren Guttentag, a first-year student at MIT who identifies as bisexual.